The lack of clarity about the trading environment facing the food and farming sector is now an untenable. Picture by Gary Longbottom. Countryside leaders are urging an imminent end to months of crippling uncertainty hanging over rural livelihoods as European Union leaders agreed to an extension to Britain’s exit from the bloc. The lack of clarity about the trading environment facing the food and farming sector is now an “untenable” situation because it is stymying investment. Concerns are also growing over delays Brexit is causing to passage of the Agriculture Bill which sets a framework for our first domestic farming policy in more than 40 years. Dorothy Fairburn, of the Country Land and Business Association, said: “It is high time for politicians to get to grips with this untenable state of affairs. Farming requires medium and long term planning, with significant investments required along the way, but given the precariousness of where we are, many are holding back from investing in this very high risk environment. 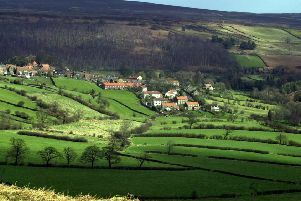 Baroness Anne McIntosh of Pickering, added: “While we have won a two week reprieve from crashing out of our key market of 505 million consumers, Yorkshire farmers have probably never faced such uncertainty: whether to produce lambs and sucklers, or plant crops? "The stakes are high but we owe it to farmers to end this paralysis and set on a path to enable them what they do best: produce a steady and stable supply of food for our table , safely and free from unfair competition from substandard imports." 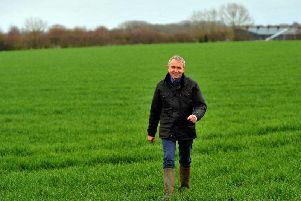 Confidence to invest is so important for farmers but it is being undermined, said Adam Bedford, regional director of the National Farmers' Union. "Farmers lambing now have no guarantee what market they will be selling into in three months’ time, let alone a year or two down the line,” he said. With the Agriculture Bill yet to pass through Parliament, the process has become “stagnant”, said Phil Stocker, of the National Sheep Association.